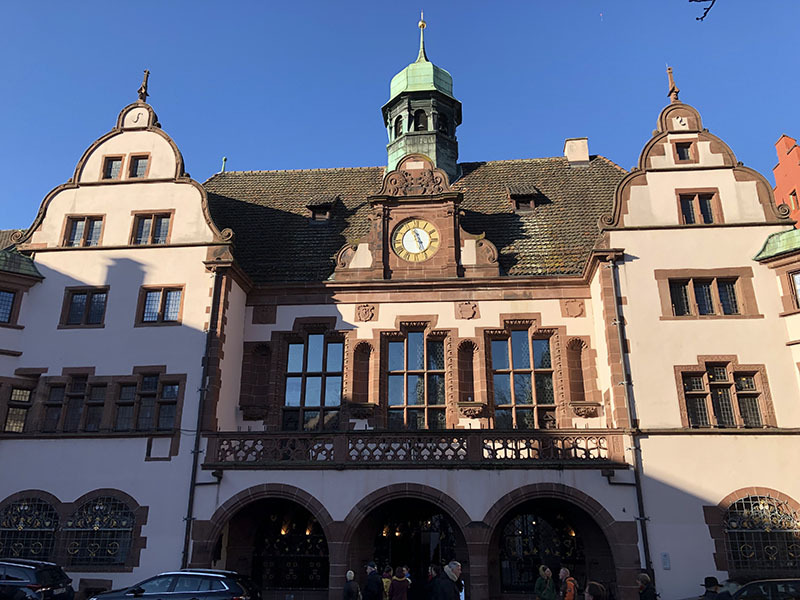 Our German courses in Freiburg for adults and juniors enable you to improve your German while exploring the lovely city of Freiburg, in Southern Germany. 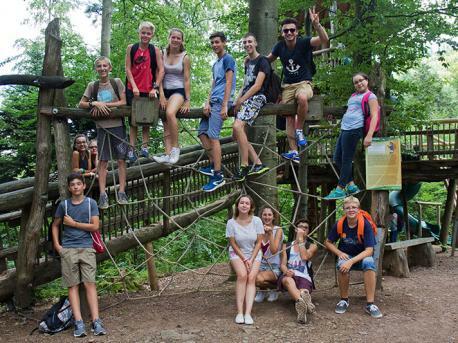 The city offers a pleasant and sunny climate and easy access to the Forest, making it one of our most popular options to take a German course in Germany. Freiburg has a population of about 200,000 people and is a very cosmopolitan city. Due to its proximity to France and Switzerland, and a big student population (approx. 30,000 students who study at the world-famous Freiburg university), you’ll be studying in an international atmosphere. After your classes, you can explore the medieval city centre with all the famous attractions such as the Gothic (Münster) cathedral , the “little canals,” or one of the many museums, theatres, and cinemas. 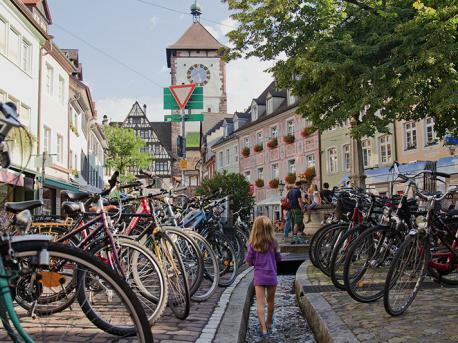 Freiburg also offers good possibilities for nature-lovers; it’s also called the “The Green City”, thanks to the many bicycles and solar panel on rooftops. The environment of the city is very suitable for hiking and sports. Moreover, cities like Strassburg, Basel and Constance close by and easy to reach. Our partner school in Freiburg, Akademie Zeitgeist, has been teaching German courses since 1999, being one of the oldest schools with the best reputation. It has three buildings in the center of the city, the main one being in the vicinity of the university. With an average of about 100-150 students from different countries, Akademie Zeitgeist has a phenomenal international environment, thanks to which you can have a real immersive experience.